Arsenal have set their sights on Fenerbahce’s Danish international striker Simon Kjaer according to the BBC journalist David Ornstein. The BBC journalist took to social media to reveal that Arsenal have turned their attention to alternative names after failing to strike a deal with Valencia for Shkodran Mustafi. 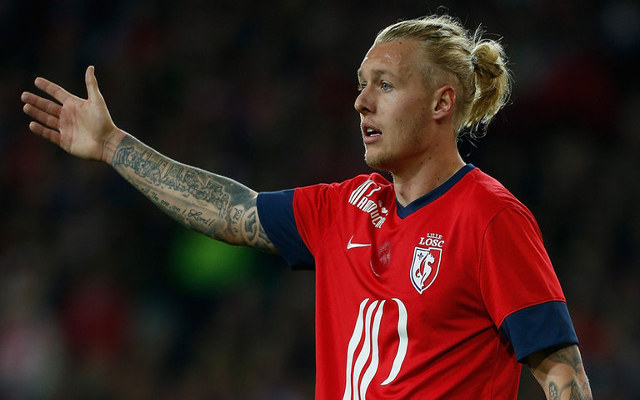 Simon Kjaer made the move to Fenerbahce from the Ligue 1 side Lille for £6.5 million last summer. The 27-year-old and has gone onto make 45 appearances for the Turkish Super League giants. Arsenal are in need of defensive reinforcement following long-term injuries to Per Mertesacker and Gabriel. Koscielny also missed Arsenal’s opening Premier League game of the season which the North London based outfit lost 4-3 against Liverpool at the Emirates. Fenerbahce take on the Swiss side Grasshoppers in the Europa league qualification clash this week. Arsenal take on last season’s Premier League champions Leicester City this weekend.